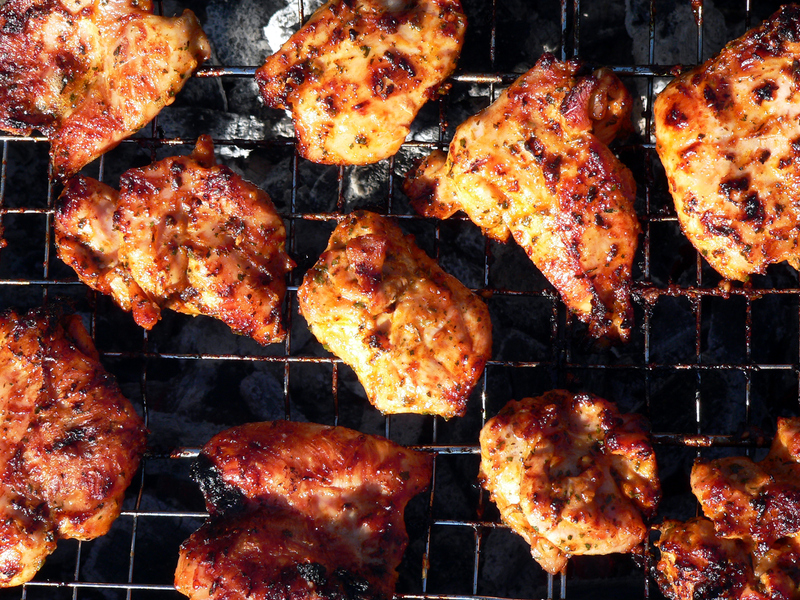 Add a little spice to your grill this coming Labor Day weekend, and try something new! We gathered some of the tastiest marinades, sauces and sides from our own grillin’ Wine Sisters and pulled together this grilling guide for your three-day Labor Day weekend. Shhh, don’t tell anyone, but the secret to this mouth-watering marinade by our very own Wine Sister Sue, is the soy sauce. Just mix her simple ingredients in a bowl, refrigerate to set the marinade, and you’re ready for the grill! It tastes divine on a flank steak. Put steak in a covered dish. 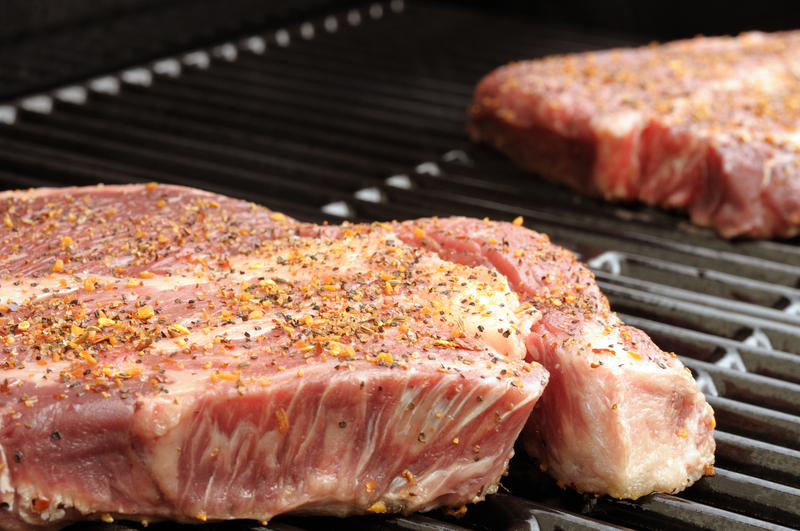 Pour marinade over steak and refrigerate. Marinate for several hours. After marinating steak, pour remaining marinade into small saucepan. Bring to boil. Cook until reduced by half, about 30 minutes. Grill steaks and serve with the reduced sauce. Gather up your cilantro, basil, oregano, pepper and lime for this tasty recipe with a kick. Slather up your chicken kabobs and pair with one of Angeles’ special side dishes below. First combine the lime juice and salt in glass or ceramic bowl until salt is dissolved. Add the red pepper, black pepper, and minced garlic. Whisk briskly. Add lime zest, cilantro, basil, and oregano then stir gently until combined. Place chicken chunks in glass casserole dish (tip: lightly salt/pepper chicken prior to adding to marinade), pour freshly made marinade over the top and refrigerate for 1-4 hours. Skewer chunks of chicken, and grill. Serve with Mexican Crema dipping sauce. Combine all ingredients & refrigerate until use. Enjoy with your chicken kabobs. For an excellent side dish to go along with your meal, spice up your corn with this clever recipe. Just slather the mixture over your freshly grilled corn. 1. Grill corn until browned on all sides. 2. Meanwhile, combine all other ingredients except cilantro. 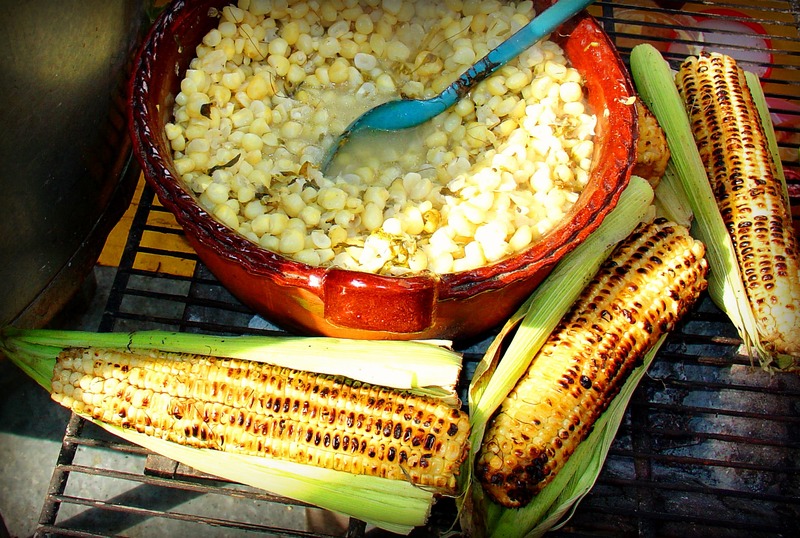 When corn is grilled, slather immediately with the sauce. Place on platter and sprinkle with cilantro. Optional: also sprinkle with a crumbly Mexican cojita cheese or parmesan. To top off this labor day weekend meal, Angeles included her favorite pasta salad recipe. With a little spice and Mexican Crema, you can create the perfect pasta salad, sure to be a quick favorite at the BBQ. 1. Cook pasta per instructions. Meanwhile, combine Mexican Crema and all following ingredients. Refrigerate. When pasta is cooked and drained, rinse with cool water and shake to remove as much water as possible. 2. Add diced veggies and toss. Fold in the sauce slowly, so it’s creamy but not over-wet. Chill, then serve. “The layered flavors give it a luscious, ‘Mama’s been in the kitchen cooking for three days’ flavor (especially if you use prepared charro beans in the pasta salad),” Angeles says. Bask your chicken or pork in this tasty marinade with enough lime to brighten up the flavor, and bathed in honey and Sriracha for an extra punch of flavor. 2. Put marinade and meat in a plastic bag or sealed container. 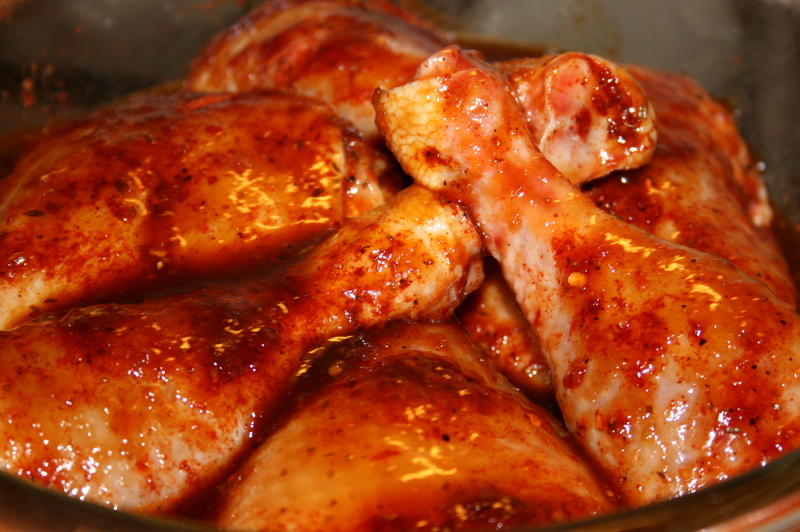 Let chicken marinate for 1-2 hours and pork for 1-4 hours. This pineapple chili glaze will spring the life back into your pork! With a few tips from the Cookin’ Canuck, you’ll have the perfect glaze to rub over your Labor Day porkchops. Get the recipe by Cookin’ Canuck. 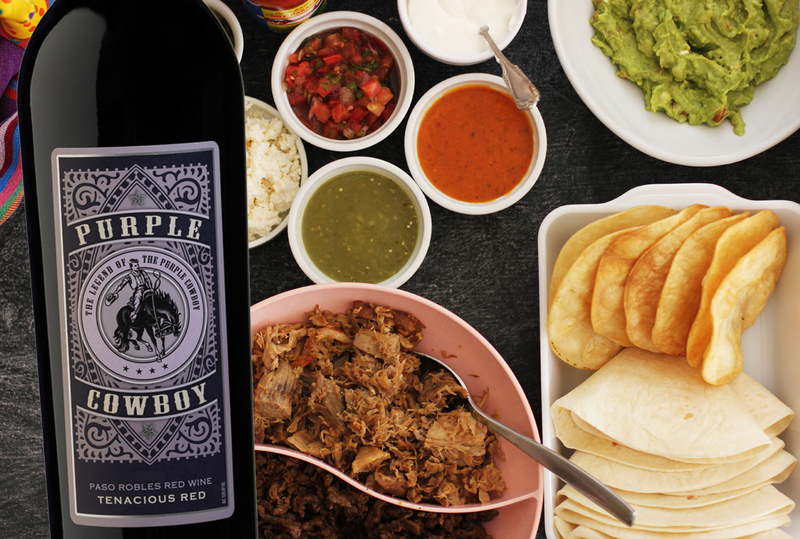 Might we add, both Purple Cowboy wines pair excellently with steak and grilled meats. Is your mouth watering yet? Happy grilling! Don’t forget these outdoor entertaining tips from the Wine Sisterhood Blog for your stress-free and fun Labor Day weekend preparation!